I'm taking a little bit of a blogging break over the next 10 or so days. I adore blogging but publishing 5-8 new blog posts every week can take it out of me at times and sometimes, a break is just needed. You'll still find me posting on Facebook, Twitter and Instagram but I'm taking some time away from writing to spend some time with Steve and the kids before I blink and the school holidays are over. 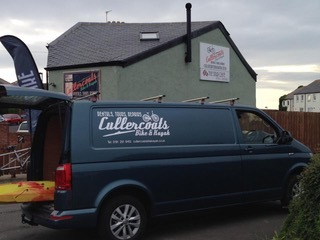 I love an active day out in or near water, so the tours offered by Cullercoats bike and kayak are ideal. 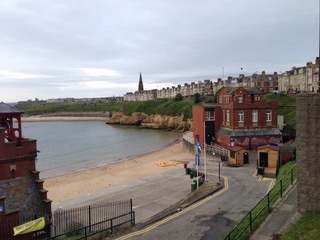 I recently tried their breakfast kayak adventure, leaving Cullercoats early in the morning to paddle to King Edward's Bay in Tynemouth in time for breakfast at Riley's Fish Shack. It was a huge thrill to see this familiar coastline from a new viewpoint, to paddle between the rocks and arrive on the beach. We even spotted a seal swimming alongside us. The kayaks are very stable, and with a choice of singles and doubles, can accommodate experienced and novice paddlers (like me). On a tour, you're accompanied by experienced guides, and wetsuits and buoyancy aids are provided. You can also hire bikes, kayaks, stand-up paddleboards wetsuits and equipment from the shop, and enjoy hot drinks and snacks in the Snug café upstairs once your adventure is over. We have lots of lovely historic properties and gardens to explore in the North East and Northumberland. One of my favourites, often overlooked in favour of some of the larger estates, is Seaton Delaval Hall. Just a short drive, or bike ride from Whitley Bay, it's a fascinating place, rich in local history. Home of the Delavals, who were rewarded for their help at the Battle of Hastings, with land in Northumbria, the building was designed by architect Sir John Vanbrugh in the 1720s. The Delavals grew rich from industry and using the region's natural resources, including salt and coal and by producing millions of glass bottles which were shipped around the world from nearby Seaton Sluice. In the 1800s the family became well known for their large parties, practical jokes and scandals, and were nicknamed the 'Gay Delavals'. The hall was almost destroyed by a fire in 1822, and remained without a roof for many years. Knowledgeable volunteer guides will fill you in on the family history as you tour the hall, and you can enjoy the extensive gardens. 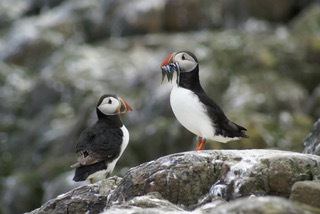 Further up the coast, trips from Seahouses to the Farne Islands offer a chance for some spectacular wildlife spotting. These rocky islands, just a few miles off the Northumberland Coast are home to seabirds including amusing puffins and grey seals which you can see basking on the shores. You can only reach them by boat, which is an adventure in itself, and land on one or two of them between April and October. I lived in the North East for many years before I made the trip, but it was a memorable day out, spotting birds and seals and being fascinated by the puffins, who can stuff an incredible number of sand eels in their beaks. I landed on Inner Farne, where National Trust Rangers helped me identify different species of wildlife and talked about their life living on this remote island for nine months of the year. Pick a nice day, wear a hat and enjoy a wonderful wildlife tour. If you're looking for the kind of wild adventure that you read about in books as a child, then I recommend a trip to this wild waterfall in the Northumberland National Park. It's a bit off the beaten track and you won't find a tourist information centre or shop and tearoom nearby. But on a sunny day, you can pack a picnic, park up beside the road and walk along the trail to this spectacular 18m waterfall. 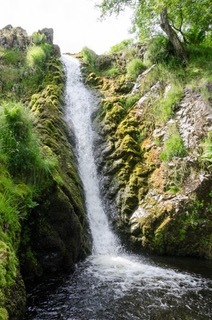 It's a decent trek and on a hot day, you may be glad to dive into the 'bottomless' plunge pool for a swim. But the water is always cold. The walk alongside the burn is home to red squirrels, though I've never seen any here, and it's a popular spot in the summer for adventurous teens and families. But you're just as likely to stumble upon its magic all for yourself. The nearest village is Ingram, which offers a great place for picnics or the Valley Cottage Café. 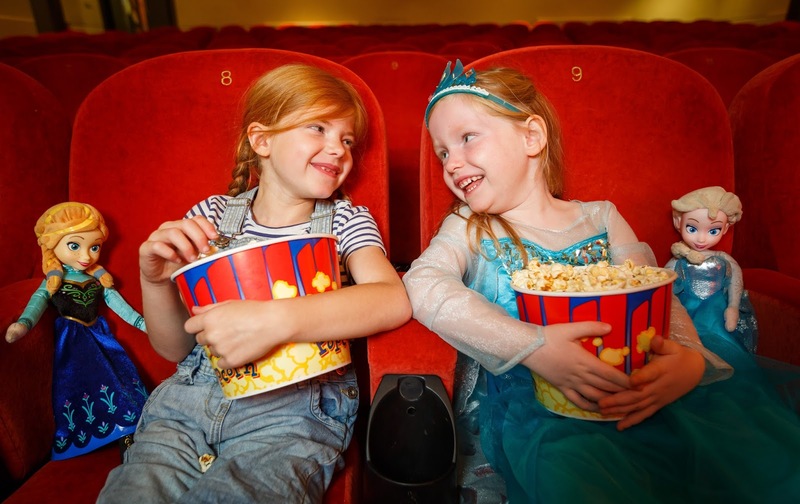 We are spoilt for choice when it comes to cultural activities here in the North East, but I've picked out to of my favourite places to visit in Newcastle, whatever the weather. They're close enough that you can make the most of both in the same day. The Laing Gallery was the first place I visited when I came to Newcastle for a job interview. As I got the job and have made the North East my home, it remains a favourite. I love the building's mix of its mix of old and new and the way it hosts ever changing exhibitions which have brought Picasso, Alice in Wonderland and Quentin Blake to town, among many others. My favourite space is the classic 18th and 19th century gallery. I always take the time to say hello to Isabella and the Pot of Basil. William Holman-Hunt’s pre-Raphaelite masterpiece was the piece I wanted to see on my first visit. Just a hop skip and a jump across the road is the magnificent Tyneside Cinema. This is one of the best places to escape in the city, especially on a grey day. More than just a cinema, it's a cultural space that hosts talks, exhibitions and events. I love that it's a grown-up cinema, showing independent and quirky films. And that you can get a great coffee or a tasty movie-themed meal in one of its café's and coffee bars. Did you know it's a charity too? So while you're tucking into your high-class burger and fries, you're helping to keep this great institution that opens a window on the world going. Thanks Michelle - You've certainly inspired me to take a trip to the waterfall and try a spot of wild swimming next summer. Michelle is a copywriter, trainer and brand storyteller who helps businesses tell their story through words that attract attention. A former BBC journalist, she loves nosing out a great story and sharing her writing expertise through blog posts, training and workshops.